Whether you are a seasoned traveler or you’re embarking on your first trip, planning your holiday with attention to detail is always useful. Making preparations in advance, like knowing how to get around, what the weather conditions are, and familiarizing yourself with your destination is a great way to get the most out of your Hawaiian vacation once you’ve arrived. Hawaii is made up of six Islands: Kauai, Oahu, Molokai, Lanai, Maui, and Big Island. Each destination has its own unique qualities and attractions. From romantic getaways to family fun, Hawaii has something to offer everyone. We may be biased, but we think Big Island is unbeatable! What are you waiting for? It’s time to plan your trip to Hawaii with ResorticaHawaii.com. For the latest information on Big Island weather, flights & car rentals, concierge services, area maps & directions, and more, you have come to the right place! We understand how overwhelming trip planning can be. That is why our staff has done the research for you. The team is standing by and ready to answer any questions you may have about your upcoming trip. Our goal is to provide you with a memorable, once-in-a-lifetime experience in one of our luxury beachfront properties. 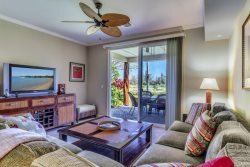 Discover our collection of Waikoloa Hawaii Vacation Rentals and reserve lodging for your next Hawaiian adventure today! For all other questions or interests you can fill out our online form and our team will be in touch with you soon.